There’s a high chance that anyone who has travelled to South East Asia has gone through Kuala Lumpur, very likely as a stop over on the way to another destination. But even if this is the case, Kuala Lumpur is a city that is worth spending some time in. A lot of people find it to be a noisy concrete jungle and a bit overwhelming. But if you are able to see past the big roads, traffic and noise (which can be found in any big city across the planet), there is an exciting world waiting to be discovered. Whether you are looking for a bit of culture, food, shopping, parties or adventure, Kuala Lumpur will deliver. 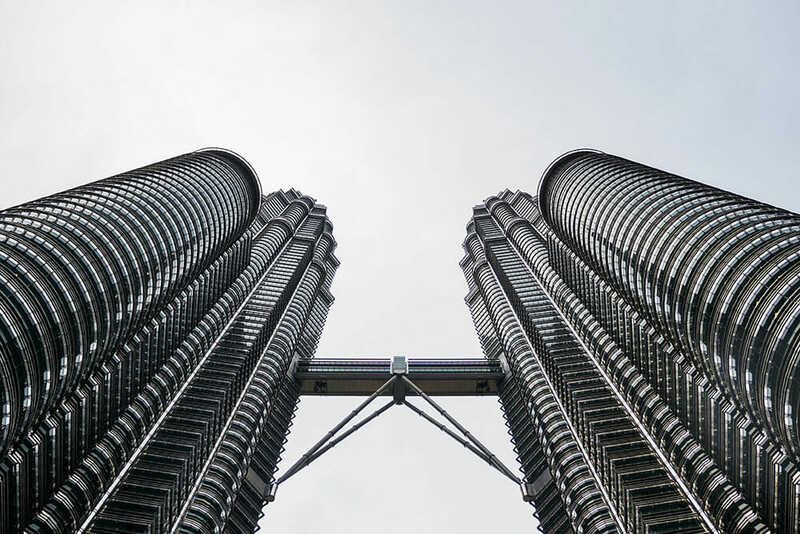 Once the tallest buildings in the world, the Petronas Towers are the best known landmark in Kuala Lumpur, and can be seen from many points in the city. Still the tallest twin towers, there is nothing like getting up close and personal to them. Their height, and clean and uniform lines are a spectacular sight, particularly at night, when they’re all lit up. Combine your visit with a walk through KLCC Park, a peaceful garden right next to the Towers with a man-made lake – Symphony Lake. It has water fountains that come alive twice a day during the water shows, at noon and again in the evenings. It’s also a great spot to take photos of the Towers. Top tip: If you’d like to see the city from up high and visit the Sky Bridge and the Observation Deck, ensure that you book ahead. 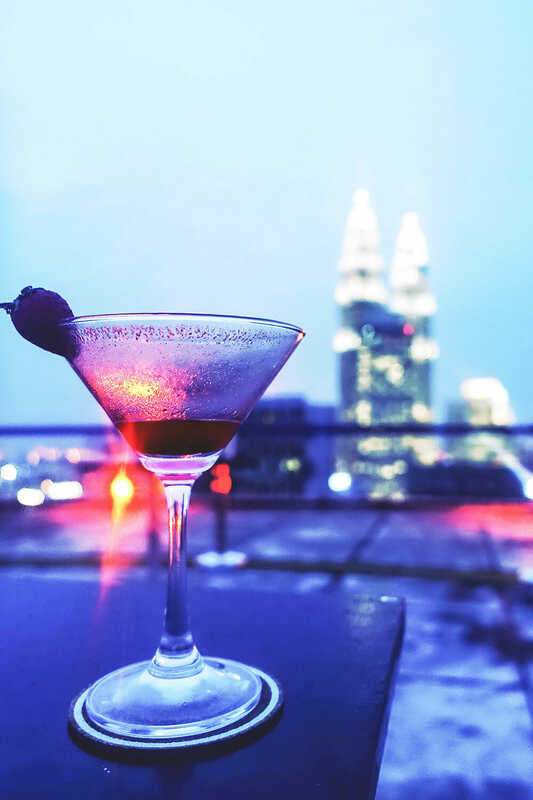 Offering 360 degree views of Kuala Lumpur, the Heli Lounge Bar is a bit of hidden gem, that as its name indicates, is a helipad that becomes a rooftop bar at night. 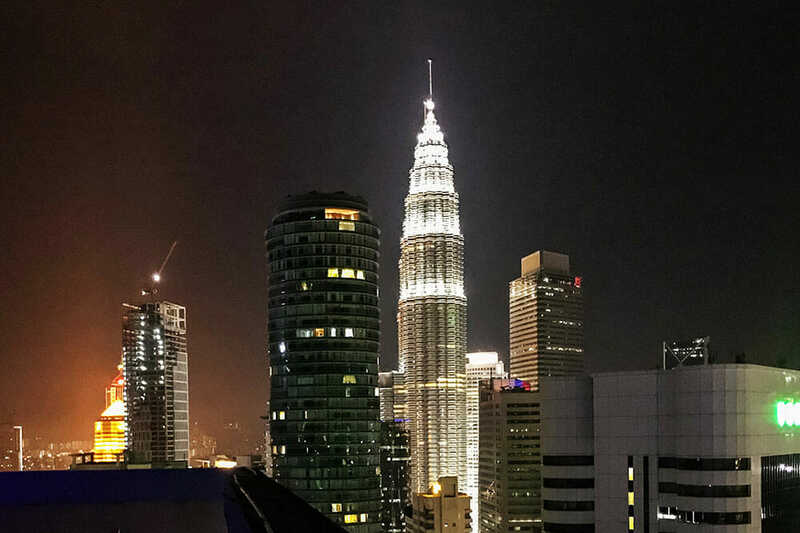 Located on the 34th floor of the Menara KH building, it has two parts – the lounge downstairs, and the helipad two flights of stairs above it. The helipad is set up in the evening with simple tables and chairs and it offers the most incredible sunset views of the city. It sits directly across the KL Tower, and you will find it hard to get a better skyline view of the city. My favourite night is Thursday night, when Ladies’ Night is on and we ladies get to have any cocktail in the menu for only RM15 (~$3.50 US). Top tip: Arrive between 18:00h – 21:00h to access the rooftop bar for free. Jalan Alor, or Alor Street, is the centre of street food in Kuala Lumpur. Just another regular street with not much happening during the day, it gets completely transformed at night into a hustle and bustle of activity. 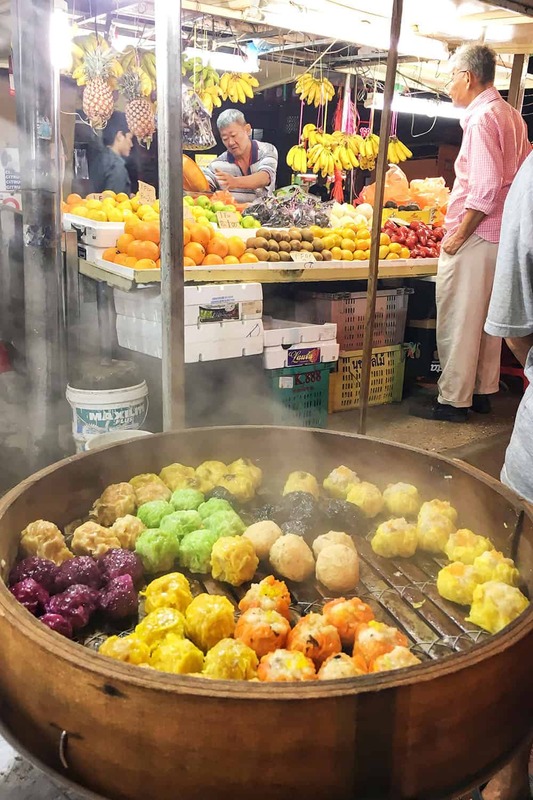 It was once known as the city’s red light district, but after a number of transformations, it has now become a mecca for foodies, and in particular street foodies. You will find rows and rows of hawker stalls on both sides of the road here, with some of the best culinary delights that Malaysia has to offer. It’s not only popular with foreigners, but local people also frequent Jalan Alor. And you can really see Malaysia’s cultural diversity in the food that you can find in this street. Top tip: There is so much variety, that you will not be able to try the majority of the food on offer in one visit, so ensure you go back as often as you can. And bring a big appetite to enjoy as much deliciousness as possible! Petaling Street is the Chinatown of Kuala Lumpur, where the hubbub never dies down. Great for street food, this area is best known as the place to come if you are looking for a bargain. You can find absolutely everything here, from clothes to electronic items to souvenirs. It’s a shopper’s paradise if you are looking for knock-offs of branded goods like handbags, watches, shoes, etc. 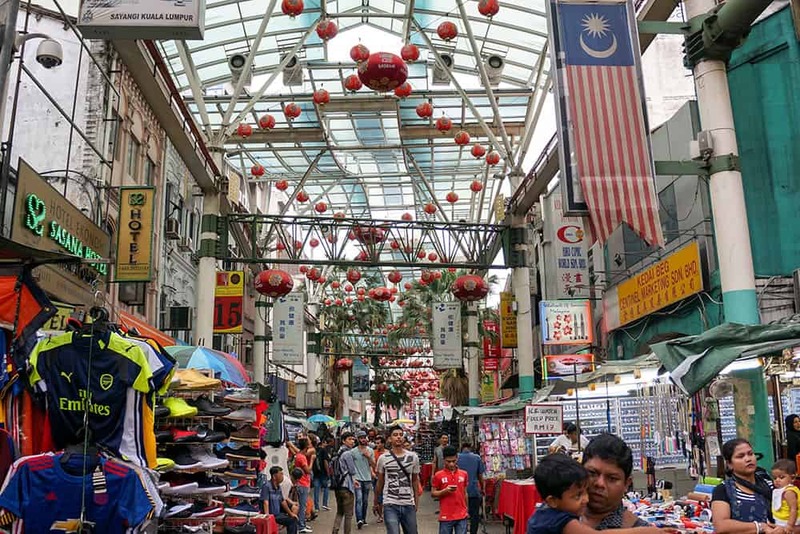 Petaling Street – bargain hunter heaven! Chinatown is without a doubt the place to get your bargaining practice in. Haggling here is a must! Top tip: Don’t be shy and bargain hard! Even when the shop has a price sticker, everything is up for negotiation. 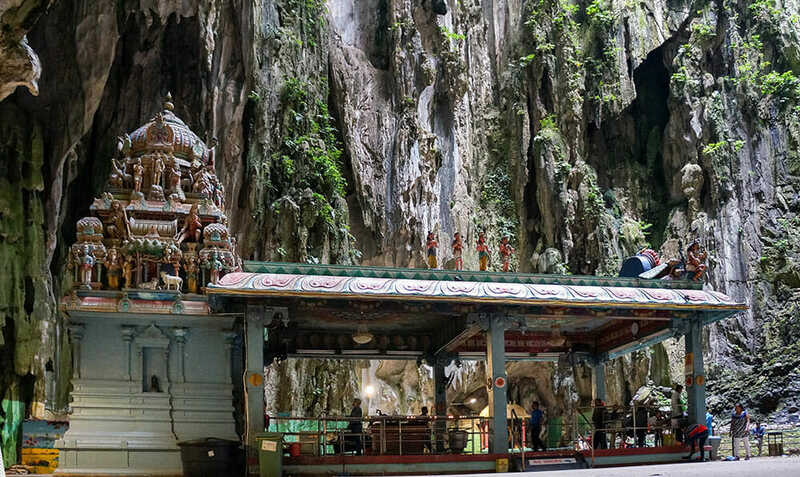 Batu Caves is a complex of limestone caves that is 13 kms north of Kuala Lumpur. It is a sacred Hindu site, with a 43-metre tall golden statue of Murugan, to whom the site is dedicated. Unfortunately, when I visited Murugan was covered in scaffolding so I missed out on its imposing presence. 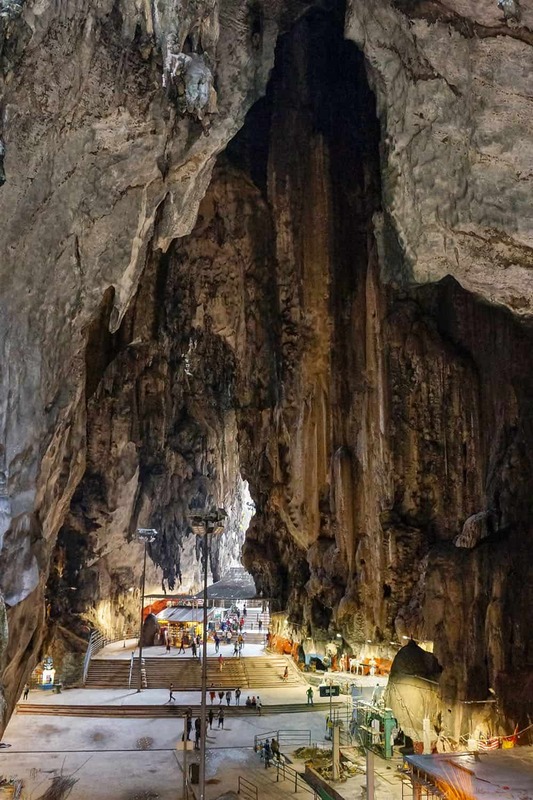 The best known cave is Temple Cave, and to reach it, you need to climb 272 steps, an effort that you’ll be glad you’ve made once you see the cave’s vaulted ceiling opening up to you. Another must-see is Ramayana Cave, which can be found to the far left of the complex. 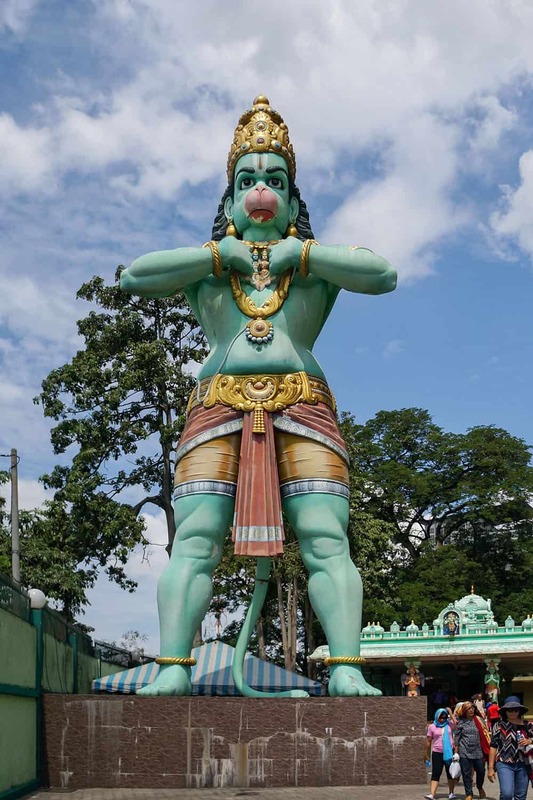 If you arrive by train, it will be the first cave you will see, easily identifiable by the 15-metre statue of Hanuman, the Monkey God. 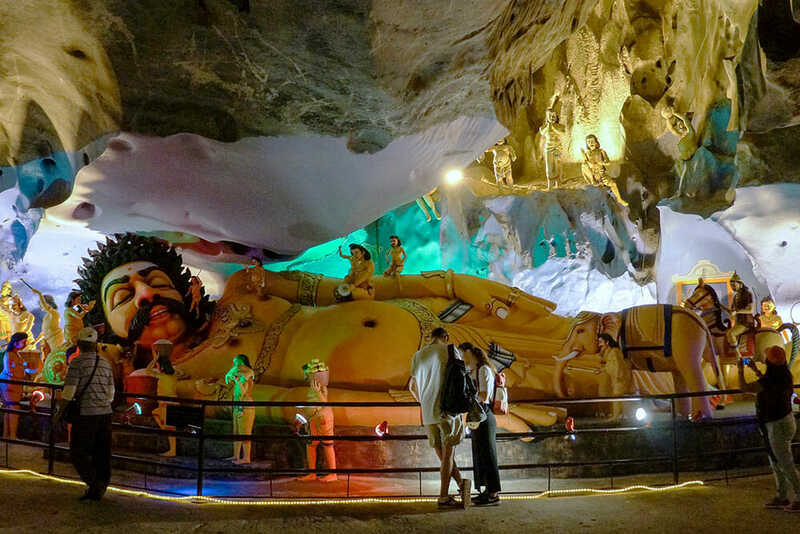 Within the cave you will find a depiction of the story of Rama with a display of colourful statues. Another cave within the complex, has more of a scientific rather than a religious interest, and it feels a little bit like an adventure. Dark Cave houses one of the rarest spider in the world, the Trapdoor Spider, and an ancient animal community of over 100 million years old. 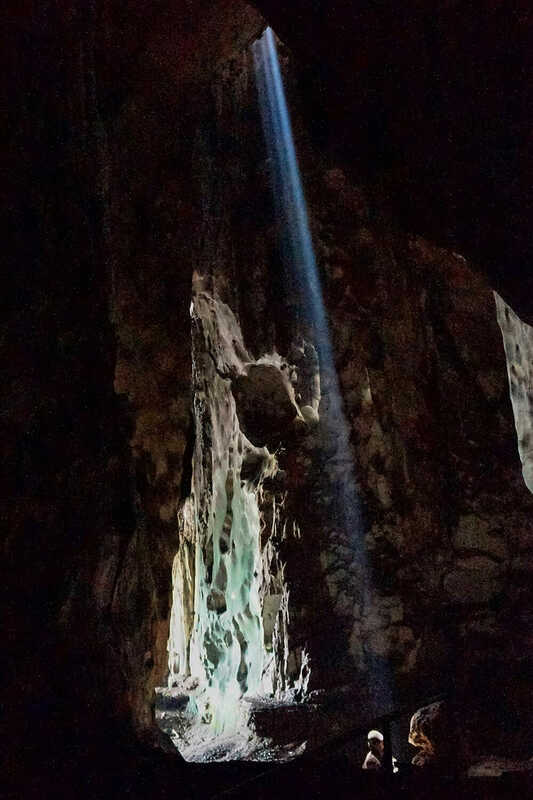 Join the 45-minute guided tour, observe this fascinating underground world and enjoy the magnificent cave formations inside. You will also be able to experience pitch darkness, which can be a bit unnerving when you know about the critters you are surrounded by… but so worth it! Top tip: Macaque monkeys rule the caves here. They are very cute, but if you are carrying food and/or drinks they will smell it and will try to take it off you. Make sure any food is sealed! Changkat in Bukit Bintang, is a street jam-packed with bars, clubs, pubs and restaurants, that include some of the best drinking spots in Kuala Lumpur. One of the most vibrant boulevards, it’s never a dull night in Changkat. Bars here host themed nights, live music performances and international DJs, and you can find whisky bars, Irish pubs, nightclubs, cocktail lounges… there is something for everyone! Nagaba Bar is my favourite, with three very different levels, including a very chilled rooftop bar! (You’ve probably noticed that I’m a big fan of rooftop bars). For something a bit more animated and wilder at times, try Healy Mac’s Irish Pub. As in every good Irish pub, fun is always guaranteed! Top tip: This one is for us ladies only. Ladies’ Night in Changkat is from Monday to Thursday. We don’t get a discount on Ladies’ Night. We get FREE drinks (in some bars)! But they don’t really publicise hugely, so tell the barman when you order that you know about the free drinks and you’ll be set for the night. Kuala Lumpur has some of the best shopping in South East Asia and potentially the world. With over 66 shopping centres, you are bound to find something you will fall in love with and you’ll just have to have. But these shopping centres are not for the faint-hearted… they are HUGE! So much so that one of them even has a rollercoaster inside! Suria KLCC is at the bottom of the Petronas Towers and holds the most prestigious and upmarket brands. But in order to shop here you will need a big a fat wallet. Pavillion KL is one of the many shopping centres in Bukit Bintang, the city’s trendiest and most popular shopping area. It has a lot of international brands covering a wide range of prices. Low Yat Plaza or LYP specialises in electronics and IT products. Everyone knows that Kuala Lumpur is a great place to purchase these types of items, and in LYP you will find every gadget you can imagine. 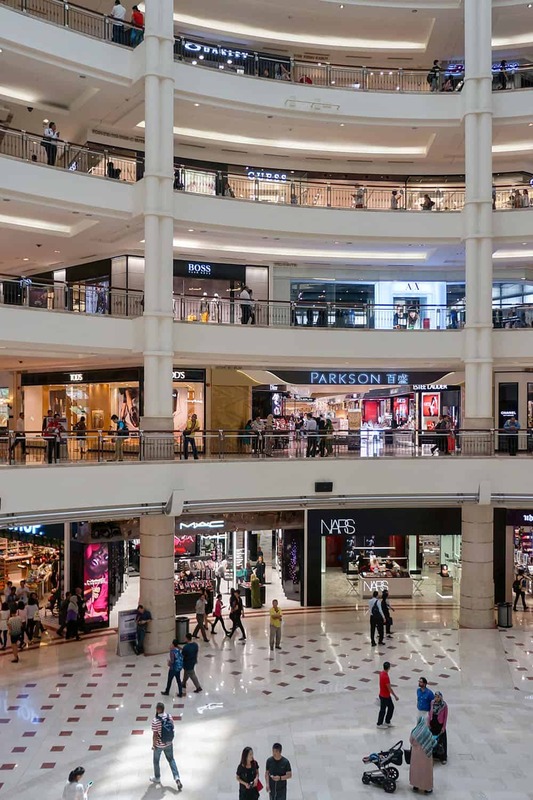 Top tip: Malaysia is a country where bargaining is widely accepted, so don’t be put off by the price on the sticker and negotiate – even in shopping centres. So tell me: Have you been to Kuala Lumpur? What other awesome things would you recommend in this fabulous city? If you’d like to explore further afield, here are the best places to visit in Malaysia. Airbnb – Kuala Lumpur offers a great array of properties available to rent through Airbnb. Get your £25 credit on your first booking with Airbnb here. Or how about housesitting as an alternative stay? Check out TrustedHousesitters.com and get 20% off membership. Thank you for this awesome post. I will save this for later as I am planning to visit Kuala Lumpur on my next trip to SEA. I have only been to the airport in Kuala Lumpur on my way to Australia so I am really excited to explore the city. Cannot wait to visit one of those rooftop bars at sunset and Jalan Alor for street food. It’s been 5 years since I last visited KL. I’ve done all you mentioned here except the Batu Caves. Guess its time to go back! Great post! I’m heading to KL in February actually, with plans to stay there for 5 days. I’m especially excited for the rooftop bars, we’re planning on visiting the Marina Sands Bay rooftop bar, but it sounds like the Heli Lounge Bar would be a cool one to go to too, I’ll be checking that one out! awesome post! I just wrote one about KL too, your photos are stunning! and I love your ideas! I’ve also heard that Kuala Lumpur was just another big city. But it sounds like a pretty great place to see. Great tip about getting tickets directly at the towers. Without knowing that tip, it sounds like it’s a good way to get scammed.